Lata Pada is the founder and artistic director of SAMPRADAYA Dance Creations, a company at the forefront of South Asian dance in Canada. She has lived in India, Canada and Indonesia and has made Canada her home since 1964. Lata has trained with India's distinguished gurus, Kalaimamani K. Kalyanasundaram and Padma Bhushan Kalanidhi Narayanan. Drawing from the many eclectic influences in her life, she brings a contemporary worldview to her art. Lata's commitment to dance drives her to break new ground in performance and choreography. Lata is dedicated to showcasing bharatanatyam as a world art form as it explores diverse movement styles, contemporary themes and innovative collaborations. Her solo performances have a distinctive style that "
continues to rivet the eye with her soulful lyricism." (Globe and Mail). Daring and innovative, Lata's choreographic versatility is evident in a range of stunning solo and ensemble works, both classical and contemporary. Drawing inspiration from diverse global cultural sources, she collaborates with many Canadian and international artists. She is a Canadian artist whose "
clear direction in dance makes her one of the few who can successfully translate a thousand year-old tradition into 21st century realities." (Toronto Star). Canada's leading dance writer, Michael Crabb, named her production, 'Revealed by Fire', as the most important dance production of 2001 in ballet-tanz, Europe's leading dance magazine. This highly acclaimed multi-media dance theatre work has been featured in the 2002 Canada Dance Festival, toured North America in 2003 and was presented in a prestigious five-city tour of India. Lata's extensive international dance career includes performances in India, Canada, United States, China, Indonesia, Malaysia, Colombia, Mexico, Ireland, Austria and Cuba. Her choreography has featured in the 1998, 2002 and 2008 Canada Dance Festivals and 2001 Harbourfront's World Moves Dance series. Her Company has maintained a strong national and international profile through its extensive tours of Canada (1997, 2003, 2005), Ireland (2000), the United States (2003), India (2003, 2008) and England (2008). Lata is a frequent presenter at international dance conferences and symposia and a leading Canadian arts advocate. Her vision for the Company's expanded role as a dance development agency has led to the formation of the South Asian Dance Alliance in Canada (SADAC) and the production of the 2009 DanceIntense in Toronto. Lata has served on the founding board of the Canadian Dance Assembly (CDA) and continues to serve on the Advocacy Committee of the CDA. She is a member of the International Dance Council (UNESCO) and currently serves on the Advisory Committees of the Toronto Arts Council, York University's Fine Arts and Centennial College. She has served on the Board of the Mississauga Living Arts Centre, Arts and Culture Committee of the 2008 Toronto Olympic Bid, and is a founding member of the South Asian Advisory Committee at the Royal Ontario Museum. Her film and television credits include documentaries and interviews on Vision, CBC, CBC Radio, CTV, TV Ontario, Rogers TV and OMNI. She is a regular motivational speaker and workshop leader for corporate and community organizations speaking on her life, creativity and collaborations in the arts. 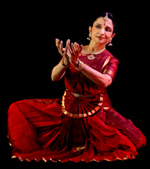 Lata holds a master's of Fine Arts in Dance from York University. She has received several awards and honours for her contribution to the arts in Canada, including the 2007 Lifetime Achievement Award by the Toronto Sanskriti Sangha, the 2003 Professional Woman of the Year Award from the Indo-Canada Chamber of Commerce, the 2000 New Pioneers Award, the 1995 Mississauga Arts Award and the 2006 Best Teacher Award from the Cleveland Tyagaraja Aradhana. In January 2009, Lata was appointed member to the Order of Canada, the highest civilian award in the country. She has the distinction of being the first South Asian artist to receive this award.